Note: first responders will be using smoke simulation within structures for the rescue training. Following the flood, FEMA and HUD offered to purchase properties (at pre-flood values) from property owners located in the floodplain, whose homes had been damaged by the flood. In turn, the acquired parcels would be cleared of structures and maintained as Town-owned open space in perpetuity. To date, 16 properties have been acquired, and the Town anticipates to close on eleven more by mid-February. The Town of Lyons Parks and Recreation department is calling for baseball and softball coaches for teams of all ages: from 6 and under to fourteen-year-olds. Girls softball will begin in April and boys baseball in May. Both are expected to run until mid-June to July. Practices will be at Lyons Middle/Senior High and games will be in Longmont. For more information, or to apply for a coaching position, please contact Marissa Davis at 303-823-8250, or recreation@townoflyons.com. The Old Man Winter Rally is just around the corner, and volunteers are needed! This 1-day bike and running rally is on Sunday, Feb. 7, with several duration and location options still available. 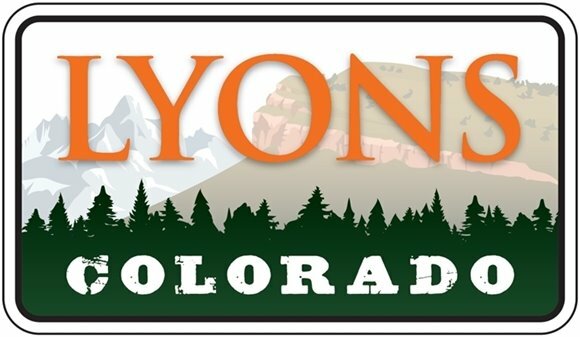 If you'd like to volunteer on behalf of Lyons Volunteers (LOV), be sure to list them as the organization you're working with, and the proceeds from your time commitment will be donated to LOV. Like any event held by Oskar Blues Brewery, volunteers can be sure they will be treated well - don't miss out! As part of the Capital Improvement Confluence Area Project, crews will be closing all access to and from the alley located between Park and Evans Street, from 4th to 5th Avenue. Residents are asked to park in the front for the duration of the closure. The alley is expected to be closed for two weeks.